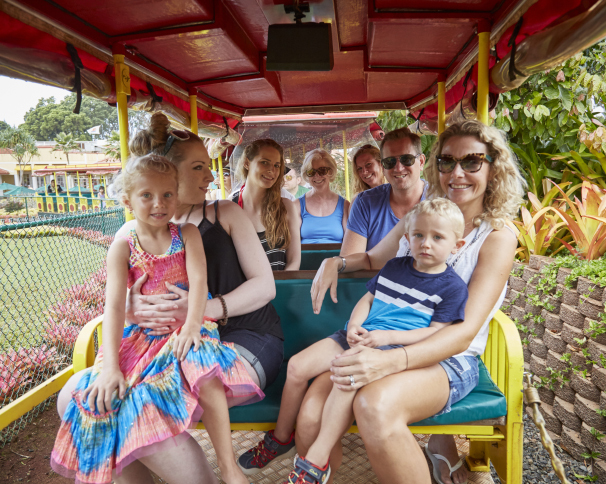 All aboard for two miles of pineapple fun! 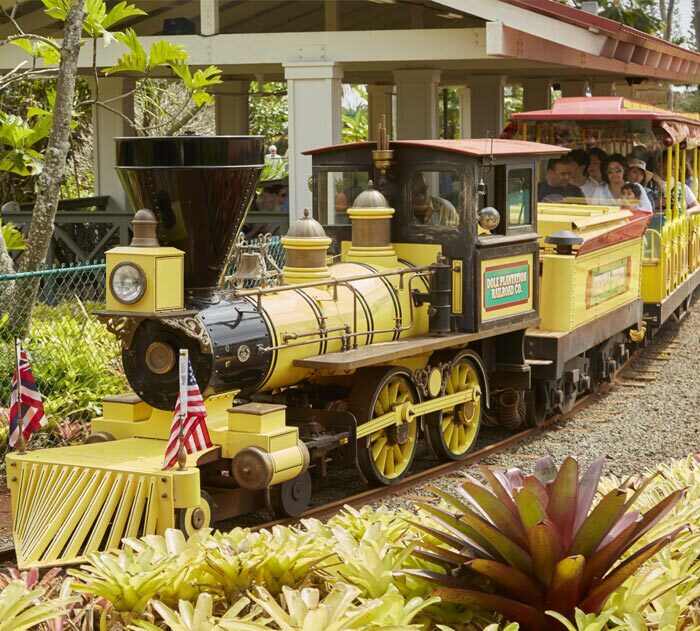 This fully narrated, twenty-minute train tour is an experience for the whole family. 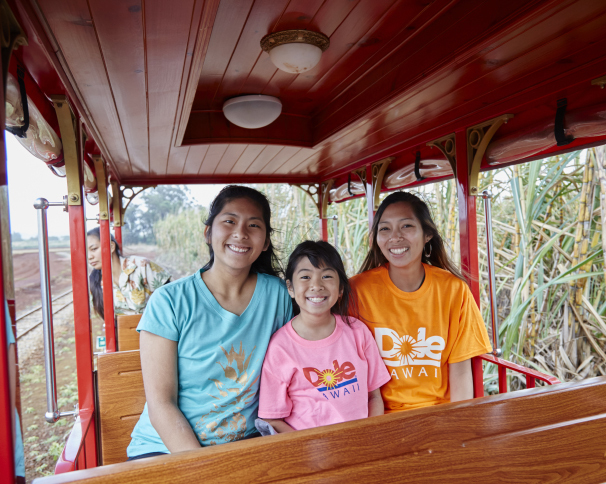 You’ll learn the story of pineapple in Hawai‘i, hear how James Drummond Dole founded his world-famous agricultural empire where Dole Plantation stands today, and travel through the stunning scenery of the island’s famous North Shore. 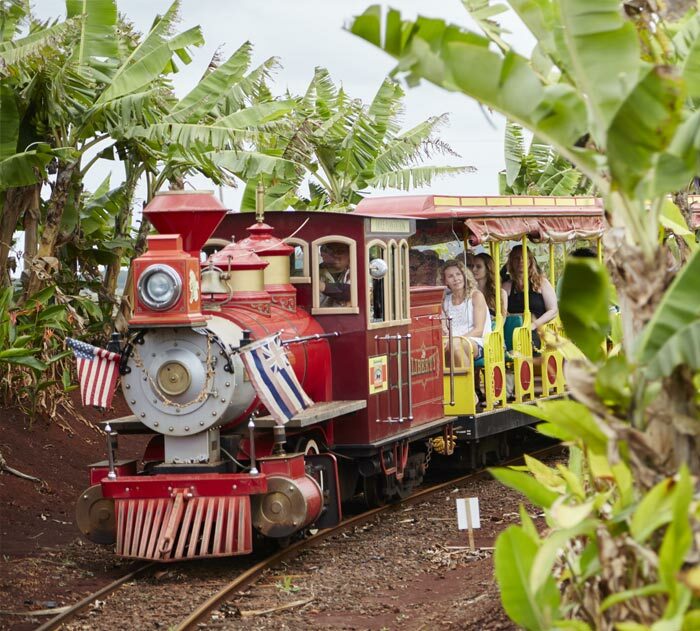 The Pineapple Express train was originally built in England by Severn Lamb. It is driven via diesel motor and hydraulic pump, very similar to a bulldozer. The engine and train is modeled after an 1870 design 4-4-0 with tender. It has four passenger cars. 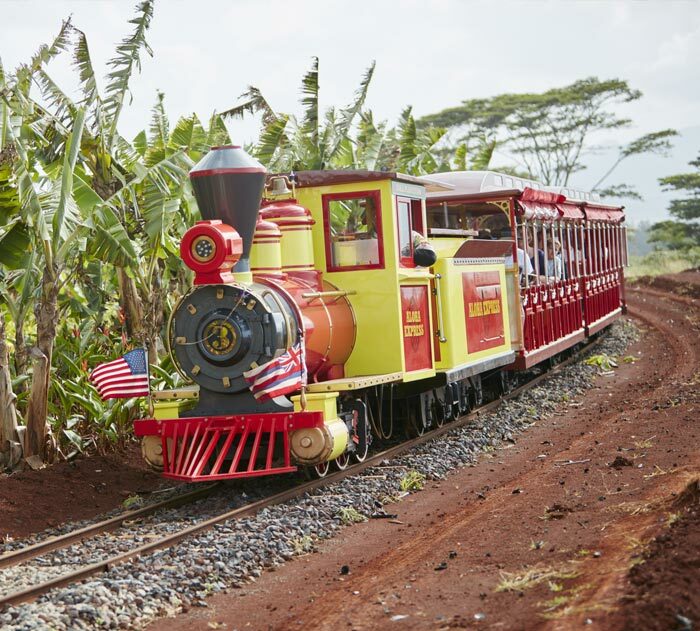 The Lady Liberty train arrived in the islands in 2003 and was designed as a replica of a Mason Bogey 0-4-4T, originally manufactured by Mason Machine Works in Taunton, Massachusetts in 1883. This particular model was popular in the early 1900’s due to its ability to run on 3′ gauge tracks on hills and over sharp curves. They were used all over the United States in mining, logging and short-line passenger service. 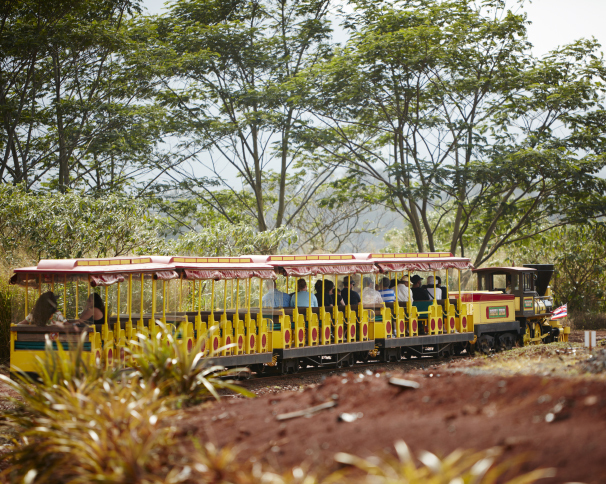 The Aloha Express train was built in China by Hangzhou Trains Equipment Co., Ltd. It is our newest work horse. Its drive is Diesel Electric similar to full size trains operating all over the United States. The locomotive is an 0-6-0 with separate tender. It hauls three passenger cars, also manufactured by Hangzhou Trains Equipment Co., Ltd.